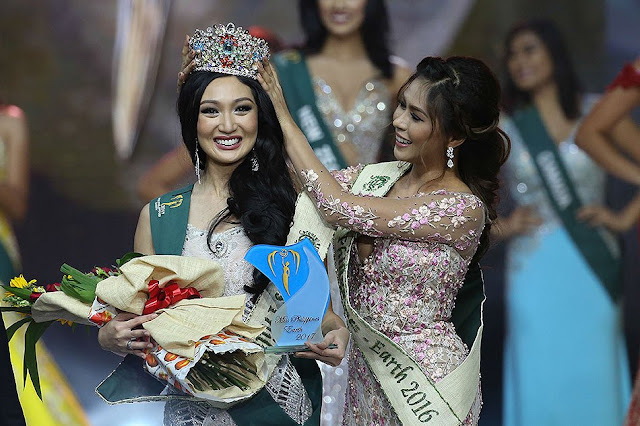 LATEST: KAREN IBASCO, FOURTH FILIPINA TO WIN MISS EARTH 2017! Miss Philippines Karen Ibasco has just been crowned as the new Miss Earth 2017. This has been the fourth Miss Earth title for the Philippines as the country has snagged the crown in 2008 (Karla Henry), 2014 (Jamie Herrell) and 2015 (Angelia Ong). The other winners of the night included Miss Australia Nina Robertson for Miss Air 2017 and Miss Russia Leda Akimova for Miss Fire 2017. Karen also gave an insightful response during the Q&A portion of the competition.